Roger Harrison is a recognized leader and author in organizational and cultural development. 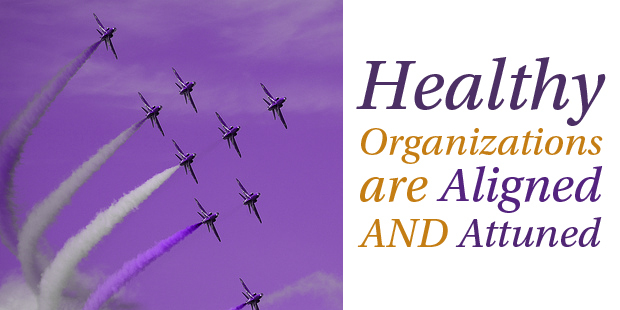 He has articulated that healthy organizations are both aligned and attuned. Alignment: Alignment refers to the deep commitment to the mission and identity of the organization. If a team is aligned, they are moving in the same direction and rallying around the same mission. When there is alignment, there is a clear and overarching agenda that grabs the energy and focus of the people. Attunement: Attunement refers to the relational care and concern that the team exhibits for one another. If a team is attuned, they genuinely care for and enjoy each other. When there is attunement, people sense they are valued and not only their contribution. According to Harrison, if you are a leader you must care about both alignment and attunement. You don’t have to, nor should you, choose between the two. In fact if either is missing, the people and the mission suffer. Attunement without alignment results in people who enjoy each other and care for each other but don’t accomplish much. 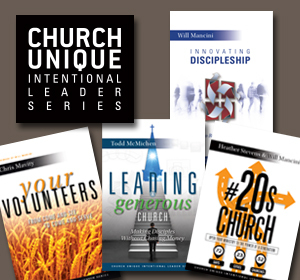 Without alignment around mission, an organization begins to exist for itself. In time, the relationships they love disappear anyway because a team not aligned around a clear mission won’t last. Alignment and attunement together is very powerful. When the two coexist, the group is focused on the mission and cares for one another as they fulfill their mission. Healthy and effective teams don’t segment “mission” and “care” into disparate buckets that must be dealt with. Instead they are simultaneously, at all times, focused on the mission and caring for one another. A healthy team is both aligned and attuned. An overarching mission has grabbed the collective energy of the team and all actions and activity is aligned to the mission. At the same time, the team cares for one another. On a healthy team people are valued for who they are, not just what they contribute. Alignment and attunement… don’t settle for just one. 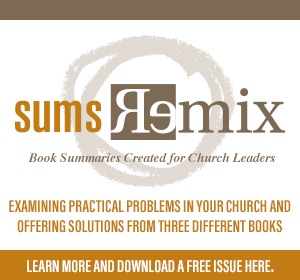 Learn more about alignment and attunement for your church. Connect with an Auxano Navigator and start a conversation with our team.